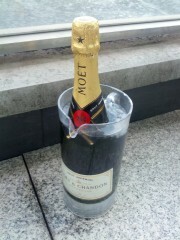 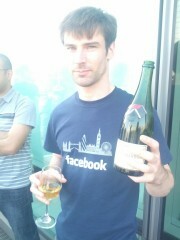 This bottle of Moet had been hanging around at work for ages - as I believed it to have originally been for George, it seemed a good opportunity to drink it. 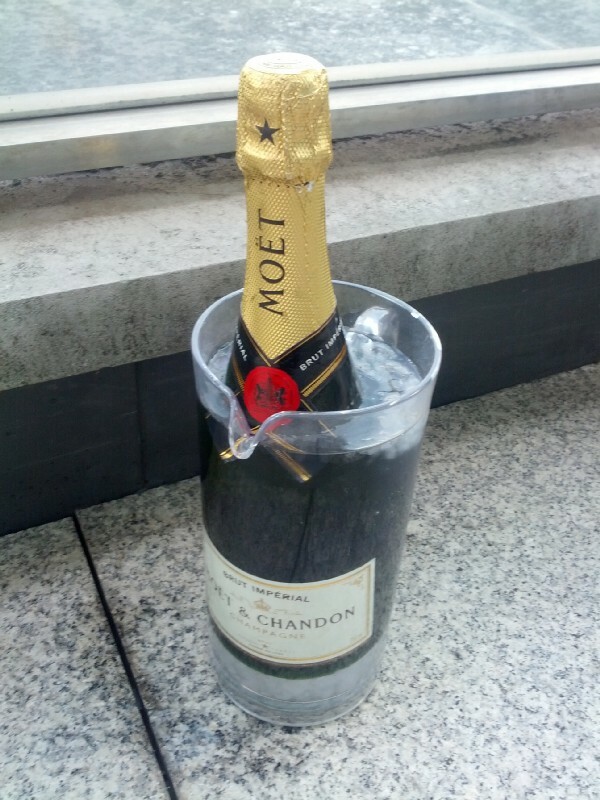 It was horrible. 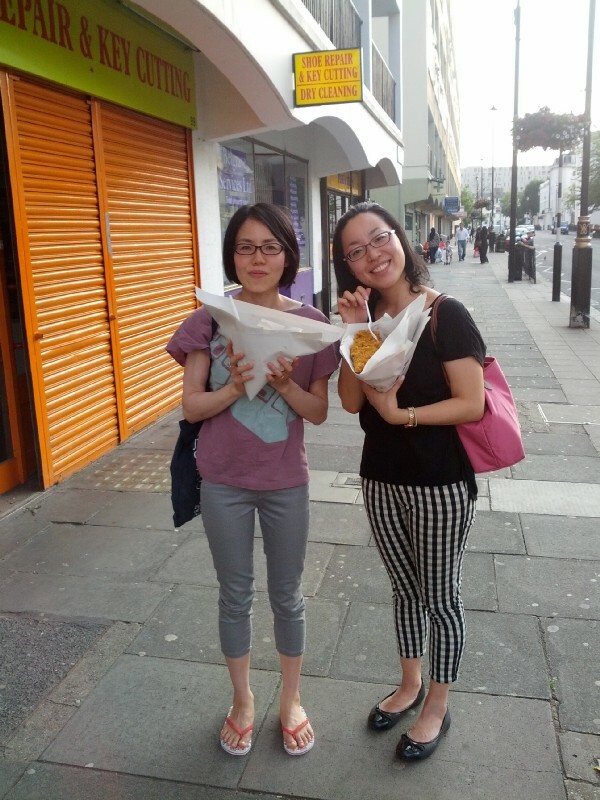 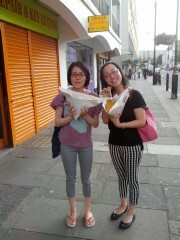 Chie and Ai-san with their fish and chips. 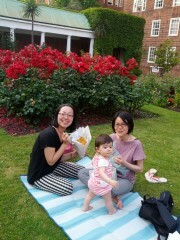 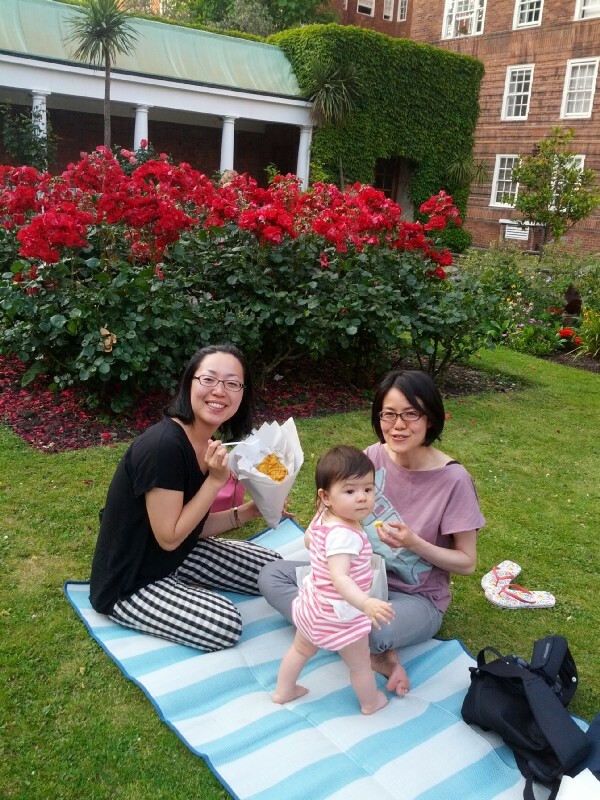 Ai-san, Chie and Erika having fish and chips in the garden.